Once you have a name that you are happy with, and you have chosen a company formation package, we can get started with setting up your limited company. All limited companies in the UK get registered with Companies House who are the government body responsible for maintaining the official company register. You can register your company direct with Companies House or you can use TheCompanyWarehouse.co.uk who can do the work for you and provide extra services that Companies House don’t offer. Irrespective of whether you register at Companies House, TheCompanyWarehouse.co.uk or another formation agent all limited companies are registered in the same way. Once you have entered your company details we will send these electronically to Companies House. Once received at Companies House the application is placed in a queue until it is passed to a human inspector who assesses it. If the inspector is satisfied that the application meets all of the requirements the company will be issued with the next available company number. A certificate of incorporation will be generated and the company’s details will be placed on the public record. The Companies House database is available on the internet and your company information will feature in popular search engines such as Google. There are a lot of claims online regarding how long it takes to setup a limited company. As all limited company applications have to pass through human inspectors in an office environment there can be variation in how long it takes for a company application to be processed. We normally say to allow 5 hours between the company being submitted and a company number being issued. Companies House standard working hours are 9 am to 5 pm Monday to Friday. They do sometimes work outside of these hours to accommodate heavy workloads. Companies do occasionally get registered on a Saturday but this is rare. TheCompanyWarehouse.co.uk and Companies House both provide a guaranteed same day incorporation service. While our same day service can be done over the phone the Companies House guaranteed same day incorporation can only be done by paper application (it is not available online) and their filing fee is £100. Same day incorporations must be delivered (either in paperwork or electronically) by 3pm. 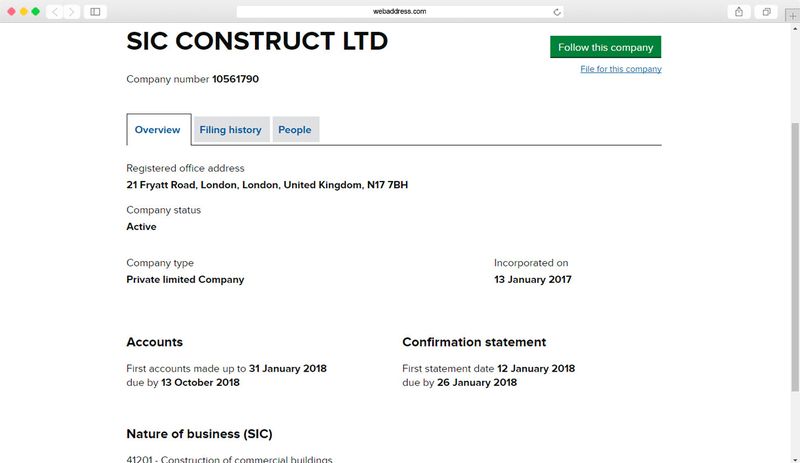 TheCompanyWarehouse.co.uk has filed electronic same day applications as late as 4pm and still had the company registered the same day. Wanted to make sure their company wasn’t registered on Friday the 13th. Wanted a company registered on a specific day as their Feng Shui consultant had advised them it was the best day to register a company. Clients who wish to ensure they win a ‘name race’. In our experience a ‘name race’ typically occurs when two or more individuals have the same idea for a company name (usually in the pub). 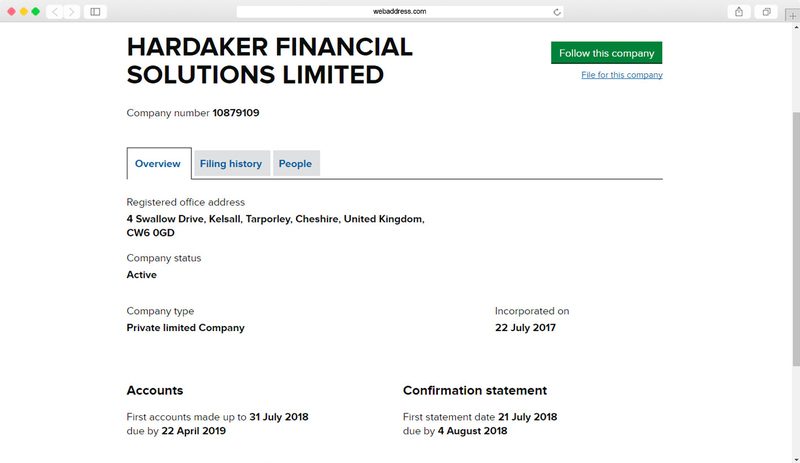 A rare example of a UK limited company with a Saturday incorporation date. If you go direct to Companies House it will cost you £12 to setup a limited company but this will not include most of the paperwork you are legally required to have. The Company Warehouse offer a range of company formation packages, including ones which do give you the legal paperwork that you need. Take a look at our company formation packages to see our latest prices. TheCompanyWarehouse.co.uk will always pay the £10 filing fee for you, even if the package price is lower than £10.